After years of anticipation, Yale is finally ready to ship the Nest x Yale Lock in March, with pre-orders opening in February. What began life as the Yale Linus Lock in 2015 will finally debut in 2018 as the Nest x Yale Lock. 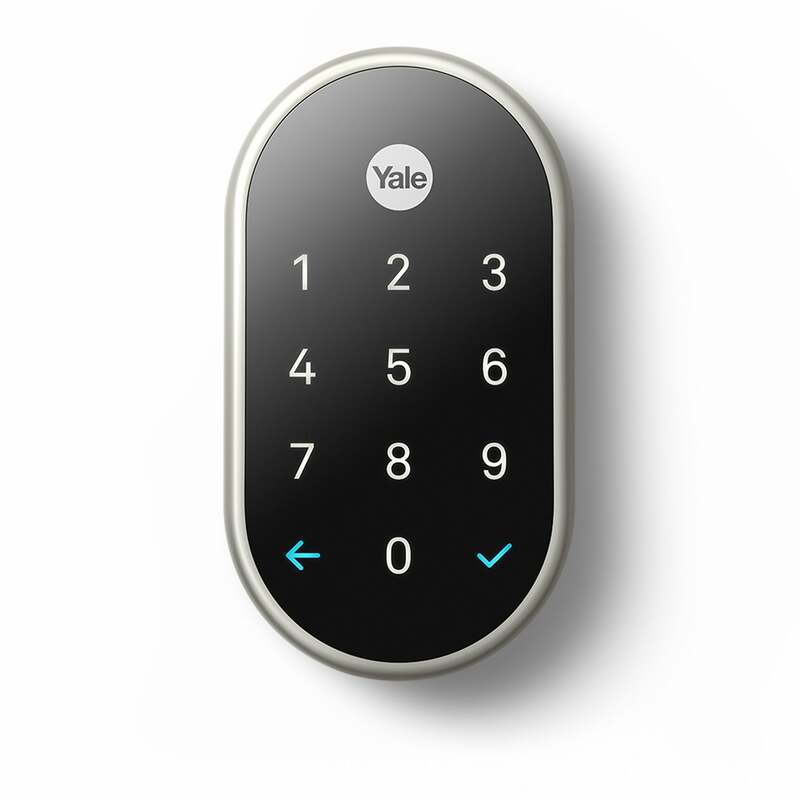 Yale announced on Monday during the Consumer Electronics Show that the lock would be available for pre-order in February and start shipping in March. Pricing was not announced. 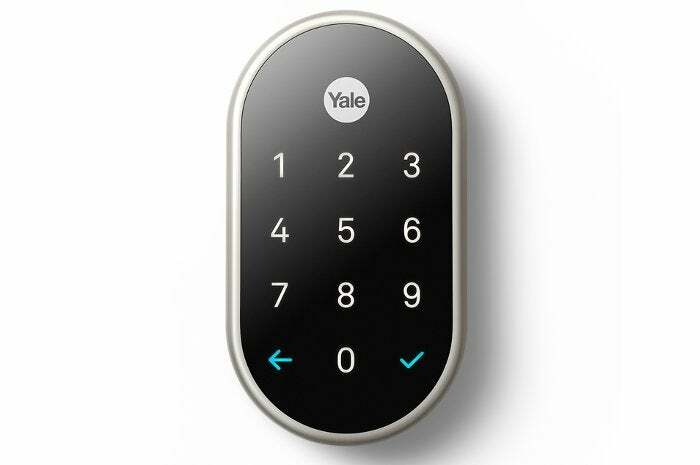 The Yale Lock was one of the earliest products to be announced under the “works with Nest” program that lets users control certain smart home products from the Nest app. But for whatever reason, it got lost in development hell before finally seeing the light in 2018. The Nest x Yale Lock is a keyless battery-powered touchscreen deadbolt that swaps passcodes for keys. It can store up to 250 passcodes all of which can be revoked or changed at any time. Passcodes can even be restricted to certain times. If you only want to allow your dog walkers code to work in the early afternoon, for example, but not at night you can do that. Any time someone opens your door it’s viewable in the Nest app. some added conveniences when you have specific Nest products at home. Those with the Nest Secure security system, for example, can have the Yale lock disarm the alarm system when the door unlocks. Anyone with a Nest Hello video doorbell can remotely unlock the door after confirming who’s ringing. Of course the key to any lock is how good it is at keeping out the bad guys, and Yale seems pretty confident the Nest x Yale lock will do the job. The outer hardware is reinforced to protect against any physical damage from someone banging on the lock. Since it’s a touchscreen-only lock there’s no cylinder to manipulate for lock picks. Yale also says the remote access features are encrypted with “bank-level” encryption—we’ve asked for more details about what, exactly, that encryption is. Since it’s battery operated, the Nest x Yale lock could potentially fail when it runs out of power. To protect against that, the lock sends out low battery power alerts. In the event of a completely dead battery, there are terminals at the bottom of the lock where you can connect a 9-volt battery to temporarily power the device and get in to your home. For normal operation the lock uses four replaceable AA batteries, and we're waiting to here what Yale's battery life estimates are. The Nest x Yale lock should fit most homes as it replaces standard deadbolt hardware. In many cases it will only require a screwdriver for installation. Yale didn’t announce specific finishes for the Nest x Yale lock, but according to the company’s website it will come in polished brass, satin nickel, and oil rubbed bronze.